Close to the metro and easy to go to Barcelona city center through the metro. Clean room and bathroom. Nice receptionists. Location was very good. Room is large enough and its clean. The staff was helpful and pleasant. It was quite peaseful at night, no noises coming from the outside. Bed sheets where nice and clean. The staff was very friendly! They knew information about the area and getting around. And they spoke ENGLISH! That was a HUGE plus for us, it made things so much more comfortable! It is close to the airport. This was good for me because I travelled by air. Located right next door to airport. Taxi was roughly 5 minute ride. Staff friendly and food in restaurant was ok. Room was modern with TV and big bathroom. Also kettle with coffee in the room and staff offered extra at the front desk. The hotel is located right next door to a large shopping center however, by the time we had checked in, it was closed. Nothing really stood out. Basic. Fine for one night. Campanile Barcelona Sud - Cornella This rating is a reflection of how the property compares to the industry standard when it comes to price, facilities and services available. It's based on a self-evaluation by the property. Use this rating to help choose your stay! 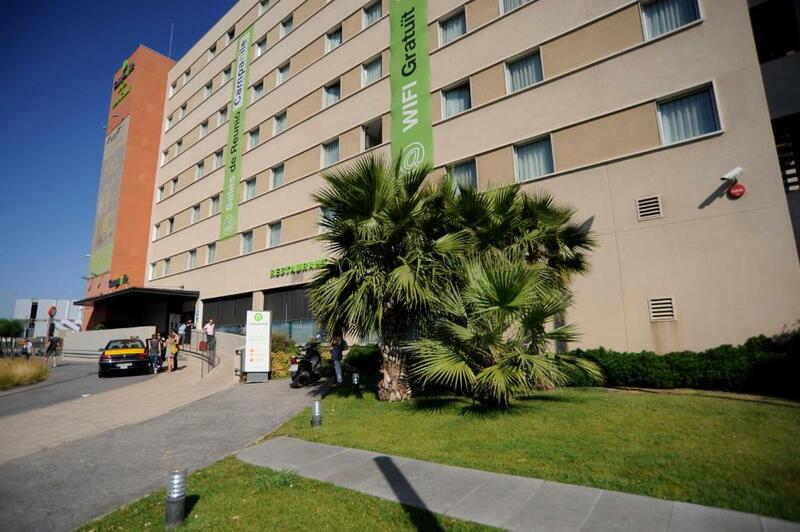 One of our top picks in Cornellà de Llobregat.Campanile Barcelona South is set outside central Barcelona, in Cornellà, just 10 minutes’ drive from El Prat Airport. 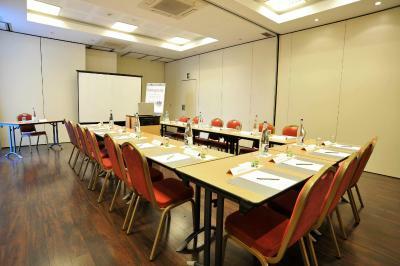 This hotel features spacious rooms with free internet access and flat-screen TVs. The Fira Cornellà Conference Center is just 1,650 feet from the hotel. There are several bus and rail connections to Barcelona connecting guests to the city in 30 minutes. Almeda FGC Station (ferrocaril) is a 10-minute walk from the Campanile. 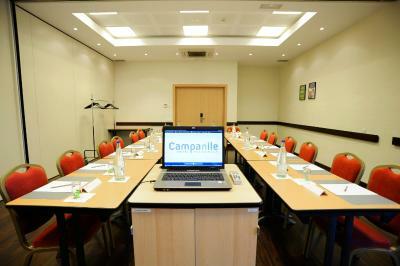 When would you like to stay at Campanile Barcelona Sud - Cornella? This air-conditioned room features bright modern décor and hardwood floors. It offers free wired internet, a flat-screen TV with satellite channels and a private bathroom. This air-conditioned room features bright modern décor and wooden floors. It offers free wired internet, a free, safety-deposit box, a flat-screen TV with satellite channels and a private bathroom. House Rules Campanile Barcelona Sud - Cornella takes special requests – add in the next step! Campanile Barcelona Sud - Cornella accepts these cards and reserves the right to temporarily hold an amount prior to arrival. Please note that the restaurant is closed on weekends. The buffet breakfast starts at 8 am. 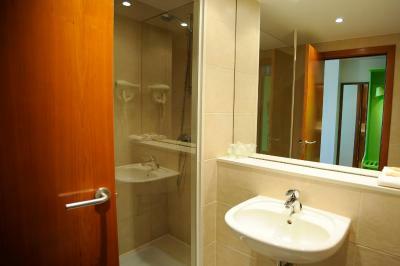 Very comfortable bed, very quiet, hot drinks making facilities, location to airport. Air conditioning not operating in hotel. Arrived early after disembarkation of cruise. Able to leave all baggage and return to city centre to see tourist sights. On return to hotel, All ready. Easy check-in and very good assistance by hotel staff for very early morning departure. There was no mini fridge in the room. Unrefundable bookin policy must not be rigid but flexible upon circumstances. If the Guest opt to pay in advance if Situation calls for modification to curtail a day in booking, the request be conceded to rather than taking advantage of advance payment made and refund be granted. 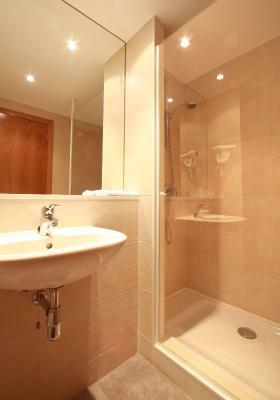 This will enhance reputation and goodwill of the Hotel..
Close to the business center and the facilities were good. The food in the restaurant was very good. I had an issue. I left my shopping bag inside of my room and then I went back to get it, my new jacket was missing and they left an old denim jacket in. The staff they weren't bothered to do anything about it. I sent an email to the manager without a reply. The worst experience in my life. Good value for the prize. That was the only reasonable place in Barcelona at this point. Close to the airport. Also the location, may take some walking to the nearest station and may need transferring of tram or bus lines if going to Barcelona center. But taxi is easy to get and locate. Not so much variety in their breakfast. Location near the airport and huge shopping center. Great for an overnight stay if arriving late from airport. Friendly staff.